The MARA game educates young children in elementary understanding in music. 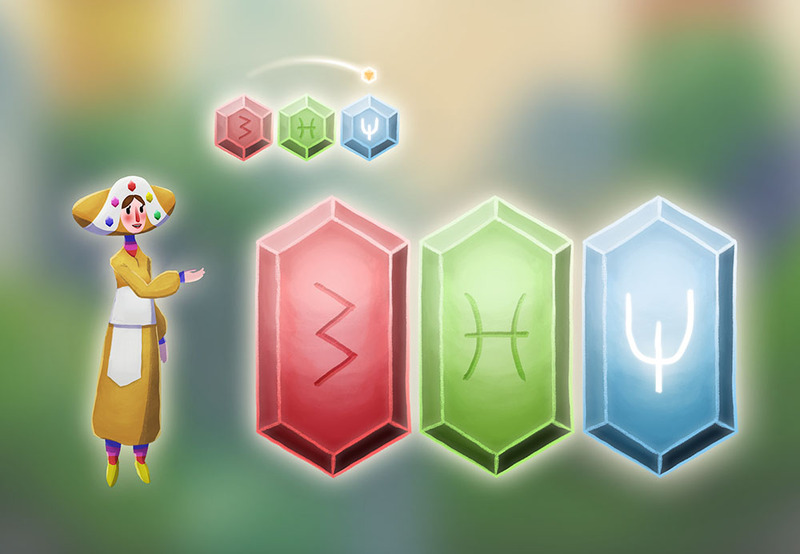 In the game, a child has to play along to melodies of increasing complexity, unlocking rewards and new locations as they reach certain levels of proficiency. Additionally, MARA has a broader target audience than just future musicians, as developing one's musical skills at a young age leads to greater intellectual development in general. For this project I created a colourful, vibrant art style. Something happy that would be visually attractive to young children, inviting them to keep playing and explore the game's world. As of yet, only the first prototype level has been completed, with more in the works. The child actually playing music is, of course, key to them developing musical awareness. The Mara character indicates how certain parts should be played, with the player then repeating that part. As the children are still too young to be able to read, the interface was designed using bright colours and abstract symbols, in stead of text and numbers. As a way to keep the child entertained, the different levels of the game all have interactive elements that come to life when tapped. For instance, the goat would sway to the music when "idle", but does a backflip when interacted with. The animations needed to be snappy, as it is important user interaction does not feel sluggish. Each animated asset is made up of so-called bones. As the name implies, these bones form something of a skeleton for the images to stick to. The bones can then animated. The common thread that guides the player through the game - which appears in all the game's levels - is the character of Mara. Her design is a sympathetic motherly fairylike creature, that gently teaches the playing child. Multiple looks and colour schemes were considered. A round, cheerful character in bright orange won out in the end, giving Mara a soft but energetic and cheerful design that would contrast well with most backgrounds.